Elizabeth Thoman, the godmother of the “media literacy” movement recently told me that the Internet has endowed her field with a sense of salience, if not urgency. The Millennial generation has tools at its disposal that empower its members to become citizen journalists and create and experience media in ways previous generations couldn't imagine." If Thoman and her colleagues’ work over the past half century can be credited with establishing media literacy as an academic subject, it’s possible that the digital media revolution will catalyze this subject’s introduction into the mainstream curriculum. If this bill becomes law, the Department of Education will award matching grants totaling $100 million per fiscal year to states that wish to participate. Before going any further, it’s important to define “media literacy.” One of the most frequently cited definitions came out of the 1992 Aspen Media Literacy Leadership Institute: “[educating students to possess] the ability to access, analyze, evaluate and create media in a variety of forms.” This sounds straightforward enough. However, the discipline has had a rocky time since its inception in the 1960s (a useful timeline of media literacy thought leadership can be found here). I think there are two reasons for this. First, the subject lacks the perception of urgency. How can we expect children to read between the lines if many of them don’t know how to read? Second, media critics like Noam Chomsky have endowed the phrase with an anti-corporate tone and, in turn, made it a cause célèbre for anti-corporate activists and conspiracy theorists alike. There’s a fine line between educating students about dominant stereotypes and editorial considerations during news production, and accusing certain media outlets of having editorial or commercial biases. The reality is that media literacy is more urgent today than ever before. The Millennial generation has tools at its disposal that empower its members to become citizen journalists and create and experience media in ways previous generations couldn’t imagine, let alone develop curricula for. The media environment is also more challenging for consumers (i.e. not just producers or participants). As the Pew Center for Excellence in Journalism found in this year’s State of the News Media report, the rise of cable television and Internet news outlets is fomenting “deliberately coarse and provocative” news content and, increasingly, “the line between unfiltered personal thought and public discourse is evaporating.” If news is indeed becoming more of a public spectacle than a public utility, young people need to know why this is, what it means for deliberative democracy, and even, perhaps, how to reverse the trend if they so choose. Young people also need to understand how they’re empowered by the vast spectrum of digital media at their disposal, and how to use that power safely and responsibly. The Ad Council has launched several thought-provoking public service announcements about digital exploitation and the potential consequences of sharing and publishing information online. The campaign reports that 61 percent of 13 to 17 year-olds publish a profile on social networking sites, and one in seven young people receive sexual solicitations over the Internet (70% of which are girls). But kids aren’t only the victims. They can be perpetrators, as when it comes to so-called textual harassment” or cyber-bullying. Given all this, it’s laudable that the “21st Century Skills Incentive Fund Act” has been introduced, and I hope it receives broad support. But there are obstacles to making media literacy a component of public school curricula. One problem is measurement, or the lack thereof. NAMLE’s mission is to “ensure that all people have the skills needed to critically analyze and create messages using the wide variety of communication tools now available.” This is a worthy goal, but it’s broad and its success is not easily measurable. NAMLE concedes that it “defines both education and media broadly,” and media literacy — along with all “21st century skills” — will certainly come under scrutiny by educators and bureaucrats who seek universal metrics and methodical testing. My curiosity about the prospects for media literacy education in the testing-heavy era of the “No Child Left Behind” Act led me to attended a panel at the NAMLE conference entitled, “Does It Work? Assessing the Effectiveness of Media Literacy in K-12 Education.” The panel featured some of the brightest minds in media literacy, including Renee Hobbs, Cyndy Scheibe, Peter Worth and David Kleeman. Yet there was hardly a consensus on how to create a measurement protocol that can determine whether a certain media literacy curriculum is successful. Hobbs said that media literacy educators come from dozens of disciplines and so it’s difficult to get a unanimity of vision. It’s not even clear what should be measured, be it analysis skills, content knowledge, motivation and engagement, attitudes, participation, or some combination of these. Hopefully, the federal government’s loosened purse strings will encourage a more systematic development of these new curricula. It could enable media literacy experts to come together and develop lesson plans that are standardized, age-appropriate, testable and, ultimately, applicable to students’ development as informed consumers and citizens. 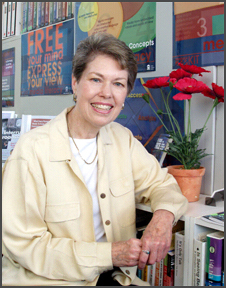 Photo of Elizabeth Thoman via Oklahmoma State University. Great primer on media literacy, and call to action. 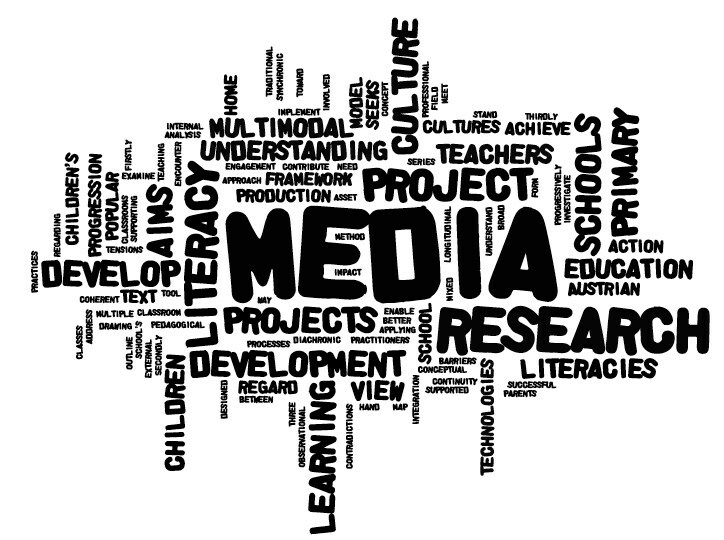 It is also important to note, however, that media literacy is just as urgent for parents and teachers. When young people go home from receiving media literacy training during school or in an after-school program, they need to continue to ask questions, and be able to continue the dialogue with their parents. A clear idea of the limits and purposes of new media can also be helpful for teachers who may be hesitant to incorporate new media into their teaching. In addition to an increased level of critical thinking, media literacy also has the potential to help bridge the digital divide that so often lies between “digital natives” and the adult role models in their lives. As I read your explanation of why the media literacy movement never took off, it occurred to me that you are yourself may be somewhat functionally illiterate when it comes to the media issues of representation and the media political economy under our particular form of capitalism. These are perspectives that both must be taken into account to achieve basic understanding and critiqued for higher levels of understanding to flourish in our media saturated society. What leads me to my accusation is your nonsensical statement that “There’s a fine line between educating students about dominant stereotypes and editorial considerations during news production, and accusing certain media outlets of having editorial or commercial biases,” which makes me wonder what media ecology you are living in. Why wonder whether media literacy will ever catch on when someone in your position commits such weak kneed, tunnel-visioned and downright misleading comments as this to eprint? Whatever problems I may have with Chomsky’s take on media, at least he cannot be suspected of being a self-serving insider who stops short of being an industry apologist when criticism of media starts to sting a bit. Definitely it’s a very good post .Bcoz the way you have described all the things are superb.Thanks a lot for the information giving us.keep it up. As a journalist now pursuing a career in special education I have a question. Has anyone considered the implications of using such programs with mild to moderate learning disabilities? I could see media literacy extremely helpful with some learning and behavioral disorders. Asperger Syndrome students sometimes have a difficult time with social cues, but often tend to be very bright and will mostly like use electronic communication. Is there curriculum that can be tailored to help them better read peoples motives and intentions online? With Attention Deficit Disorder, can we teach students how to limit the electronic barrage of information.